Sell Your Used Car - Which Cars Do Owners Keep The Longest? While you may be searching for information on how to sell your used car for cash in Honolulu, perhaps you, like many other owners, have had your vehicle for eight or nine years. 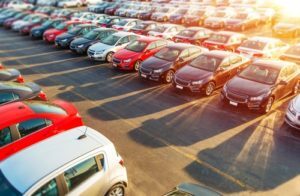 Few people can afford to buy a new car every three or four years, especially when prices are so high – it’s a huge investment, one that leaves most people facing years of monthly payments. Consumers tend to keep cars for several years after purchasing new, but which are the makes and models that are kept the longest? The answers may surprise you! According to reports, the vehicle kept the longest (on average 9 years) is the Ford Expedition. On the other end of the spectrum for longest kept vehicle when purchased new is the Chevrolet Corvette which also averages 9 years! Other vehicles on the top 10 longest kept list when bought new include the Toyota Sequoia, Toyota 4Runner, Toyota Avalon, Ford Explorer, Chevrolet Suburban, Ford Taurus, Honda Accord and the Honda Odyssey. With six of the top 10, it looks like owners find their Fords and Toyotas reliable and hard to give up. At CarMark Hawaii we buy used cars including Fords, Chevrolets, Hondas, Toyotas and more. You may be in the military and wanting to sell your vehicle because you’re transferring, or maybe you’ve had your car for several years and you’re just ready to sell but don’t want the hassle and wait sellers often face when trying to sell to an individual. Some people don’t need an extra vehicle any longer and would rather have the cash for other things. The reason really doesn’t matter. When you want to sell your used car in Honolulu for cash on the spot, trust us for a good deal and fast, friendly service.